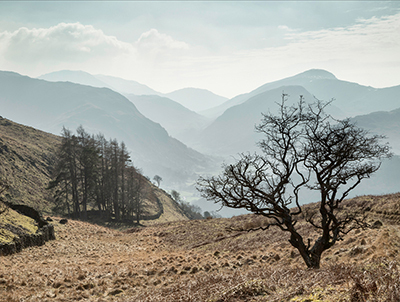 Our largest National Park, the Lake District is one of the most beautiful locations in England, yet this fabulous Cumbrian jewel is still largely undiscovered by many. 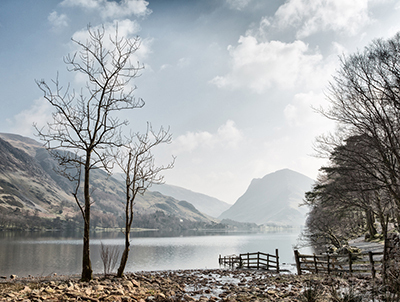 The North Lakes are probably the most peaceful and the most stunning: Each lake and valley has a distinct character of its own; Crummock is flanked by steep slate fellsides; Loweswater lies in a romantic, green wooded valley; Buttermere is one of the few lakes you can walk all the way around whilst Bassenthwaite, the only true lake in the Lake District is graced by the towering Skiddaw. Hermiston Guesthouse is just a few minutes gentle stroll from the heart of the lovely village of Braithwaite, which boasts three great pubs serving hand-pulled beers and fine food. Stretch your legs along the edges of Derwentwater or through the Borrowdale valley and catch the Keswick launch to take you back again. 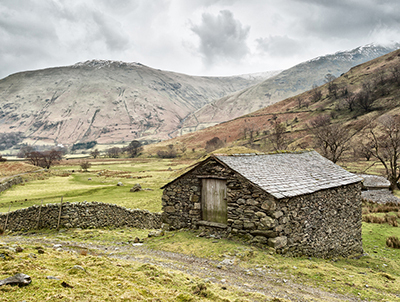 Relax by beautiful lakes and tarns, or for the more adventurous take to the high-fells by foot, bike or just wander into delightful village tea shops and the artisan craft galleries that abound in the area. For the serious shopaholic, Keswick has something for everyone with lots of independent stores and eateries. Forget the car, door-step mountain walks or the worlds best mountain biking - just take it easy in the guest lounge with its log burning stove, or relax on the upstairs patio under a parasol and unwind. We look forward to you visiting us at Hermiston Guesthouse in the scenic Lake District. Hosts Phil and Helen will make sure you enjoy your stay in more relaxed surroundings than most Keswick hotels.